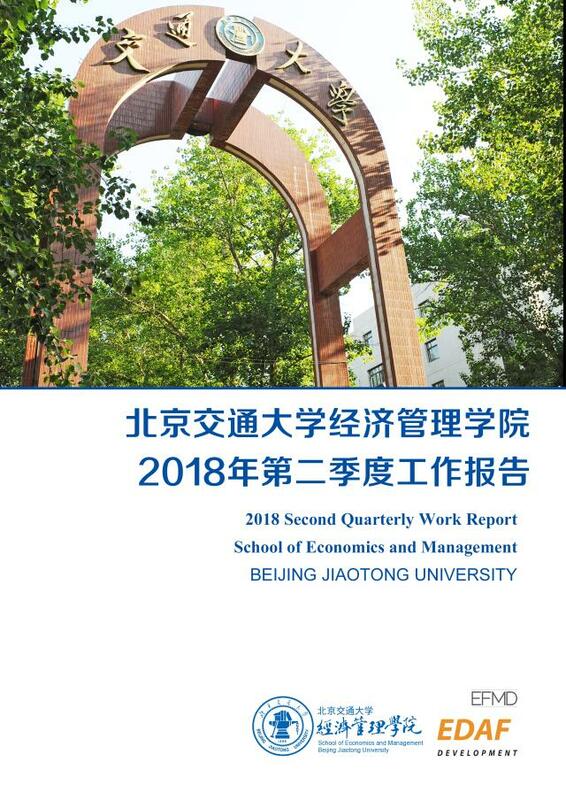 Recently, the 2018 Second Quarterly Work Report of School of Economics and Management has been finished and released by the International Accreditation and Strategic Planning Office and other departments of SEM. The report shows great achievements and prosperous development of SEM from April to June. SEM vigorously promoted the construction of AoL and the consultancy of international accreditation, and successfully conducted and finished the online investigation on achievements of 2018th graduates on AoL learning goals. The undergraduate teaching evaluation and self-evaluation work of the two degree points in the Engineering Master Center were successfully completed. Four EDP training courses began. The major education of logistics management won great reputations in society. Besides, SEM held several quality development and public welfare activities, and won excellent harvest in various competitions. SEM Youth League Committee won the honorary title of “2017 Beijing May Fourth Red Flag Youth League Committee”. Meanwhile, the seminar on personnel training and 2018 Graduate Tutor Conference were held to promote the development of faculty. In April, SEM won the 8th “Best Organization Award of the 8th National Top 100 Excellent Management Cases”; three cases were selected as “100 Excellent Management Cases in China”. The Beijing Transportation Development Research Base won the “Second Prize for Best Management of Think Tank”. The official Wechat account of SEM released a series of reports which further strengthened the building of the promoting and marketing platform. The re-election of the board of directors of the accounting branch of the Alumni Association was held. The Gobi Association of Beijing Jiaotong University was established. In May, SEM signed a master’s 1+1 programme cooperation agreement with the University of Leeds in UK. The fourth International Advisory Committee (IAC) meeting was held in Beijing. The splendid achievements of SEM in the second quarter shows the significance of SEM missions in leading the development and laid a solid foundation in achieving the 2018 Goals of SEM.